Jody Wilson-Raybould made a final pitch to remain a Liberal MP today, insisting her actions in the SNC-Lavalin affair were always meant to protect the prime minister. She also defended her actions on the SNC-Lavalin file. “I am not the one who tried to interfere in sensitive proceedings, I am not the one who made it public, and I am not the one who publicly denied what happened,” she says in the statement. Wilson-Raybould said the decision facing Liberal MPs isn’t simply about whether she can remain in caucus — that it’s ultimately about what kind of party they want to be members of, and which values it will uphold. Ontario Liberal MPs are meeting today to debate whether to kick Wilson-Raybould and Jane Philpott, former Treasury Board president, out of the caucus. Philpott attended the beginning of the meeting, then left, saying she wanted to show respect for her colleagues who are having a sensitive discussion. Several Liberals have publicly condemned Wilson-Raybould for taping a Dec. 19 conversation with Clerk of the Privy Council Michael Wernick. The clerk did not know he was being recorded. Last month, Wilson-Raybould appeared before the Commons justice committee to answer questions about a Globe and Mail report citing unnamed sources that alleged the minister was pushed by senior people in the Trudeau government to allow the Quebec engineering firm SNC-Lavalin to avoid criminal prosecution on fraud and bribery charges by meeting a number of conditions laid out in a remediation agreement. 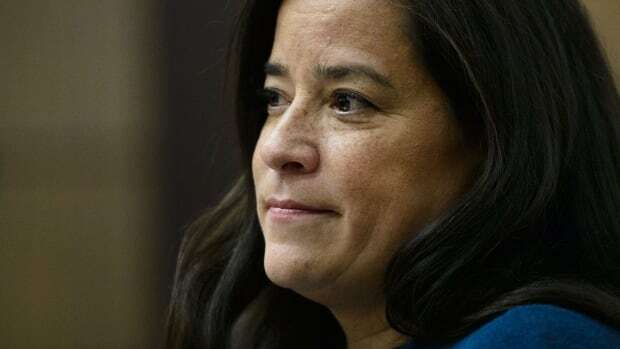 Once before the committee, Wilson-Raybould told MPs that she had been improperly pressured by 11 officials in the Prime Minister’s Office to reverse a decision that denied SNC-Lavalin access to such an agreement. Wilson-Raybould said late Monday that she wants to remain in the Liberal caucus and sees no reason why she should be expelled. Government House Leader Bardish Chagger did not offer a prediction on how the full caucus will vote. “The team will have conversations and we’ll find a way forward,” she said on her way in to a cabinet meeting. Liberals on the Commons justice committee used their majority today to defeat a Conservative motion that would call Prime Minister Justin Trudeau and several of his top aides to testify on the SNC-Lavalin matter. “Not surprisingly, but disappointingly once again, the Liberals shot down our motion to hear from all of the key players in the SNC-Lavalin matter,” he said. Liberal MP and committee chair Anthony Housefather said there have been plenty of opportunities for people to put their information forward. “We agreed to stop oral meetings, but we’ve accepted submissions that have come in, in writing, to the committee and we’ve accepted them and make them public,” he said. Gerry Butts, Trudeau’s former principal secretary, has submitted additional material to the committee that is now being translated. It’s expected to be released later this afternoon.